**It looks as if the Sub-State matchup on this side of the state is truly a pairing of the top two teams. While upsets along the way are always fun, there's no writing off either of these teams as "lucky." **The 6A East representitive in the title game will be from the Sunflower League for the... well it's been this way for as long as we can remember. **For the non-Olathe schools, that is: there hasn't been a non-Olathe representitive in the Sub-State game since 2008, and only three of the 10 6A East Sub-State reps since 2006 from the SL have been of the non-Olathe distinction. **Neither of the Sectional Round games were very competitive, and that really points to an overall lack of strength in the league this season. Jordan Ward, Olathe South: SM East had virtually no answer for Ward, as he carried the ball 26 times for 290 yards and five touchdowns. Ward has scored nine touchdowns in the Falcon's last three games and he's making a run at being the league's lead rusher when all is said and done. 1. Wichita Heights (11-0): These Falcons boast a 24-game winning streak and have three players with over 1,000 yards rushing to boot. 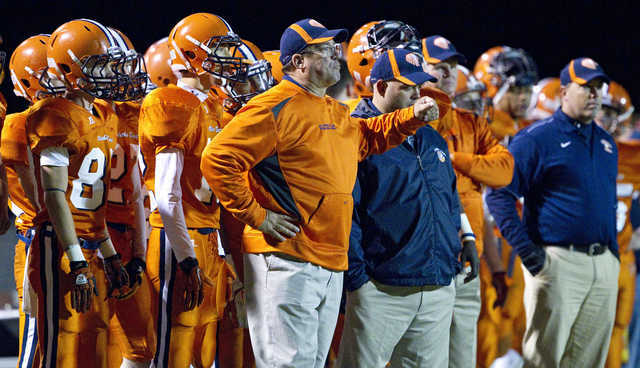 They've scored over 40 points in 10 of their 11 games, and they've pitched five shutouts. 2. 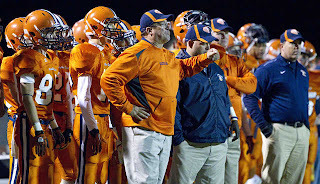 Olathe South (10-1): Olathe South has just seemed like a team destined to make it to the title game all season long. 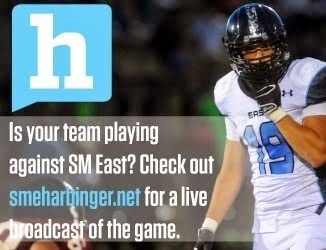 This Friday will be the toughest test yet as they attempt to beat Olathe East for the second time in four weeks. 3. Olathe East (9-2): Olathe East really had no problem taking down SM West once the Hawk offense got rolling. They were handled pretty badly in week nine against Olathe South when they had little motivation for a victory, but this time around it's all on the line. 4. Derby (7-3): The Panthers pulled a major upset taking down an undefeated team from Manhattan last weekend. It's going to take that type of effort, times about 10 for Derby to pull the upset of Wichita Heights this Friday. Shawnee Mission football is deceased. RIP. SM schools went 10-18 against non-SM opposition and of those ten wins, 3 came against Leavenworth, 3 against Blue Valley North and 2 against Wyandotte. The 'quality wins' for the year were SMNW squeaking past ONW and SME beating LFS. Truly sad. Vikings have a lot of guys coming back next year, maybe they can actually beat a team from Olathe not named Northwest next year. We'll see. The rest of the district I see no hope for at all. SM football, I disagree that it is dead. In a coma yes but not dead. I attended as many SM football games that I could this year from fr thru varsity and of all the SM schools I can tell you that there is talent in the SM district. The thing SM lacks is good coaching accept for SME and SMW these schools have the best coaches of the 5 SM programs but are just a couple more good players away from competeing with the Olathe schools. SMS appears to have a good staff in place but they really need more play makers and more fan support. All SMS games are poorly attended. SMN seems to be on the right track although their record does not reflect it. They do have a lot of underclassmen with talent but coach will have to learn how best to use it. SMNW is in the same position as SMN. SMNW '13 class has a few play makers and the underclassmen will have to step up big for them to accomplish anything next season. The thing SMNW is lacking is a system that takes advantage of the players abilities, coach seems to be trying to force a square peg into a round hole. As for the rest of the SFL the Lawrence schools will drop back next year. The Olathe schools(OE and ON) will be good for the foreseeable future, ONW will continue to be over hyped(coach needs to put the pedal to the metal with his players). LV and Wyandotte are both in tough spots and I do not envy them.